A large number of significant representatives of the Greek Meat Processing Industry attended the S.E.V.E.K. workshop on “Branded Meat Products”, during the FOOD EXPO trade show. 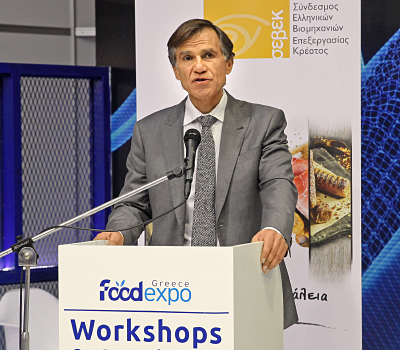 The event, which took place on Sunday, focused on “Branded Meat Products” but also on the “Strategy for the development of the Greek market and the increase of the industry’s export opportunities”. A large number of members of the Association of Greek Meat Processing Industries (S.E.V.E.K. ), attended the workshop, which hosted two compelling discussion panels. In the opening address, the Chairman of the board of the Association, Mr Manos Domazakis (Creta Farms) shared his opinion on the development of the Meat Processing Sector in Greece and the key role of meat industries towards this direction. The first discussion panel of the workshop focused on the evolution of the meat sector and the position that meat products occupy in an ever-changing food market landscape, such us the Greek one. Ms Despina Bakirli, General Secretary of S.E.V.E.K. and CEO of “Allanton” industry, was the moderator of the panel, which hosted the opinions of three experts in their respective field: Mr Xenophon Verginis (CEO of Euro Food Quality), Ms Maria Ekmektsioglou (entrepreneur, cooking teacher, chef, writer) and Mr George Boskos (assistant professor, Harokopion University). The second panel of the event, which was coordinated by Mr George Κaterinis, (editor in chief of Meat News magazine), centered on the outward-looking orientation of meat production companies. The participants referred to the great opportunities of the international markets, highlighting all the factors affecting the increase of the Greek meat product exports. 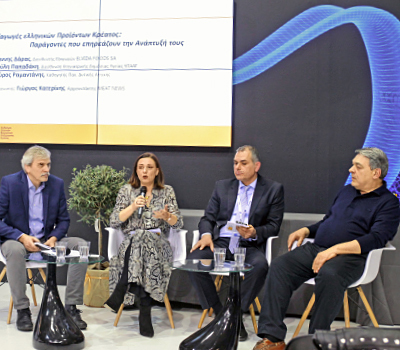 On that matter, Ms Giouli Papadaki (Directorary of Veterinary Public Health- Rural Development and Food Ministry), Mr Giannis Daras (Export Manager Elvida Foods SA) and Mr Spyros Ramantanis (Professor at University of West Attica) expressed their views and opinions.